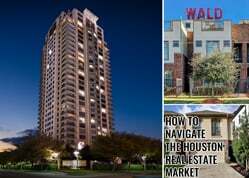 What’s The Likely Impact On The Houston Real Estate Market? Last week US Federal Reserve Chair Janet Yellen offered an encouraging assessment of the US economy, signaling that further rate hikes are in store for 2017. Any increase in interest rates affects the amount buyers can afford to spend (e.g. people who may have been looking at $725k homes may have to consider $700k homes instead). 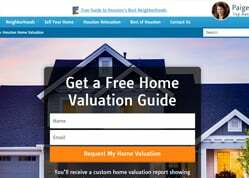 See how your neighborhood is performing now or contact Paige Martin, one of the top ranked Realtors in the US for personal advice. In many cases, real estate has done well during periods of rising interest rates, as inflation has also increased in these period (benefiting hard assets like real estate). Rates are at historic lows, and many leading economist believe the 0.25% potential increases are “unable to be measured” (e.g. it would take 2-3% increases before it was seen in the economy). However, any increase in interest rates would likely impact the total amount that most families can afford to spend (e.g. 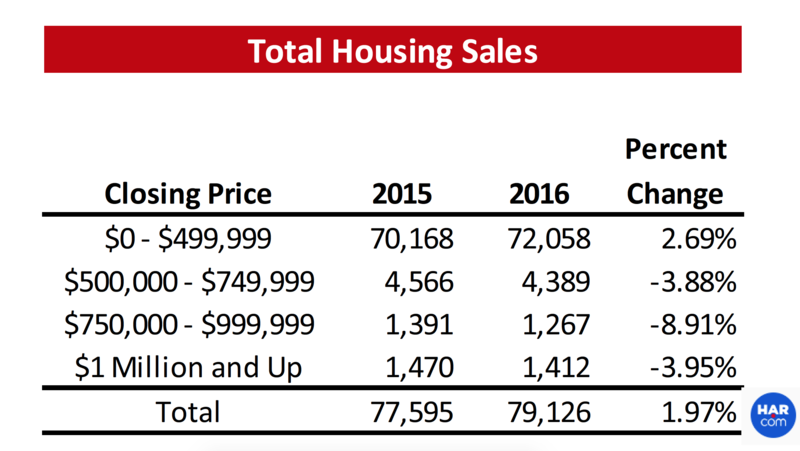 people who may have been looking at $725k homes may have to consider $700k homes instead). 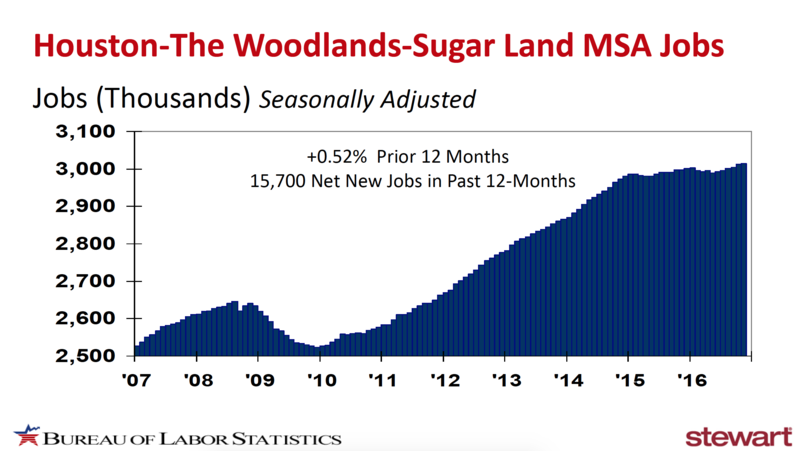 Houston job growth (positive, details below) is likely to overcome any dampening effect in interest rates. 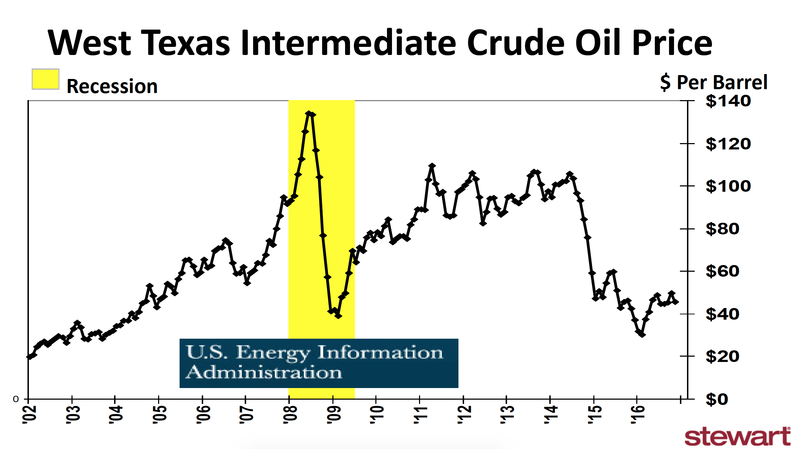 In addition, the re-emergence of buyers from the oil & gas sector (thanks to higher oil prices) will likely increase both the pace of activity and real estate prices. The administration’s proposed tax policies should benefit the luxury market (both directly and through a “wealth effect” from a higher stock market) and should also be a positive catalyst for prices and activity. NOTE: We don’t have a crystal ball (disclaimers at the end of this article). This is our opinion. In addition, real estate is local. Neighborhoods will and do trend differently. See how your neighborhood is performing now or contact Paige Martin, one of the top ranked Realtors in the United States. All in all, we are optimistic heading into 2017 both for increased activity and increased real estate prices and believe that Houston’s economic base is able to overcome any negative impacts from a moderate increase in interest rates. Job growth is the single most important metric when predicting real estate trends. To predict real estate growth, we want to see what employment rates look like. 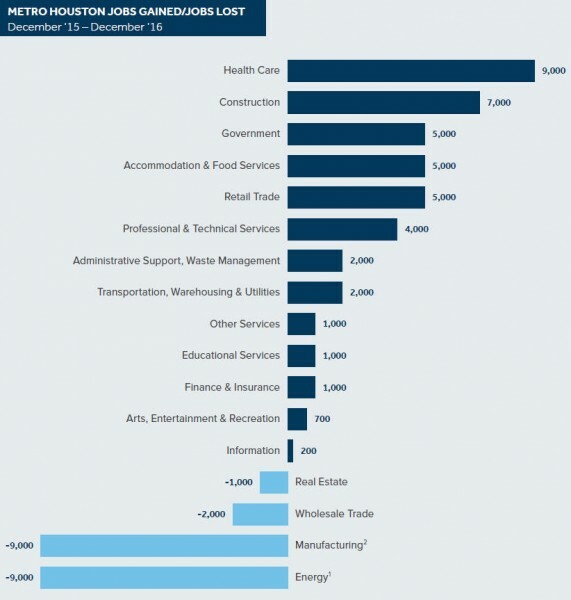 In addition, gains in healthcare, government and construction jobs overcame losses from the oil & gas sector. 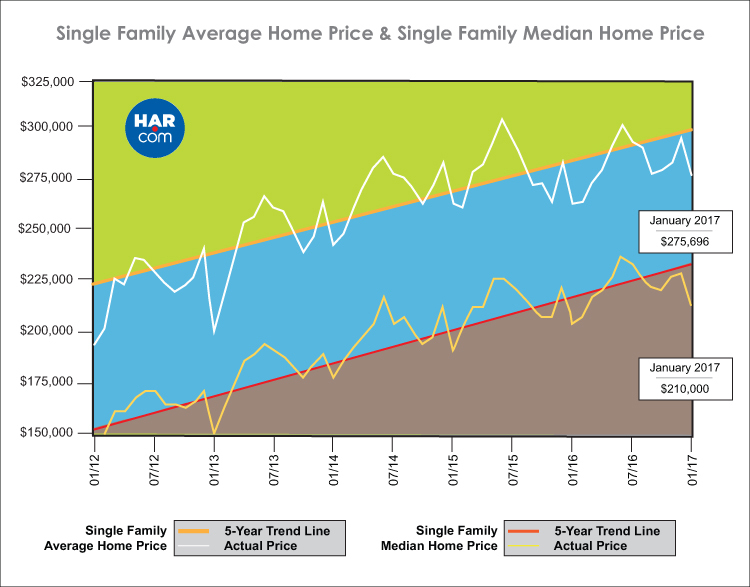 The above graphic from HAR MLS shows that Houston’s median home prices continued its upward trajectory. 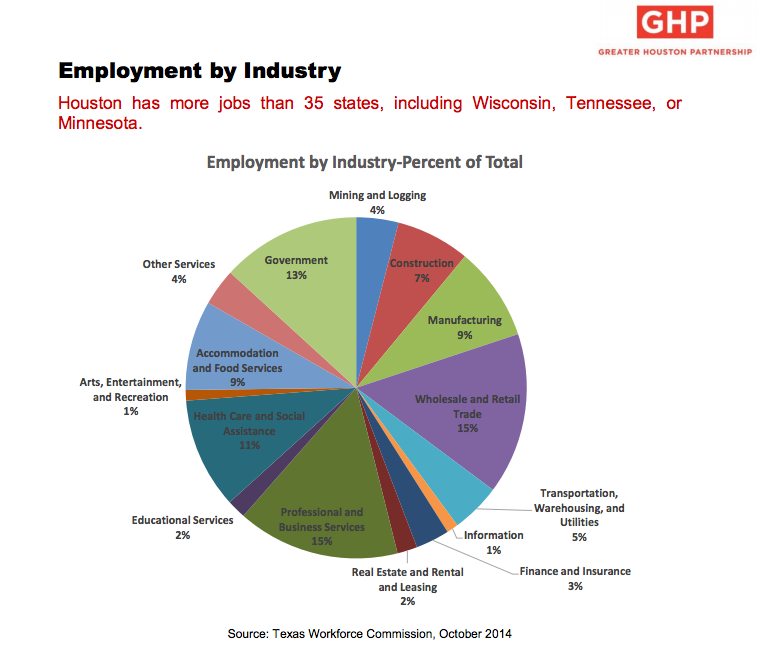 Approximately 25-30% of Houston’s jobs are tied to the oil & gas sector. 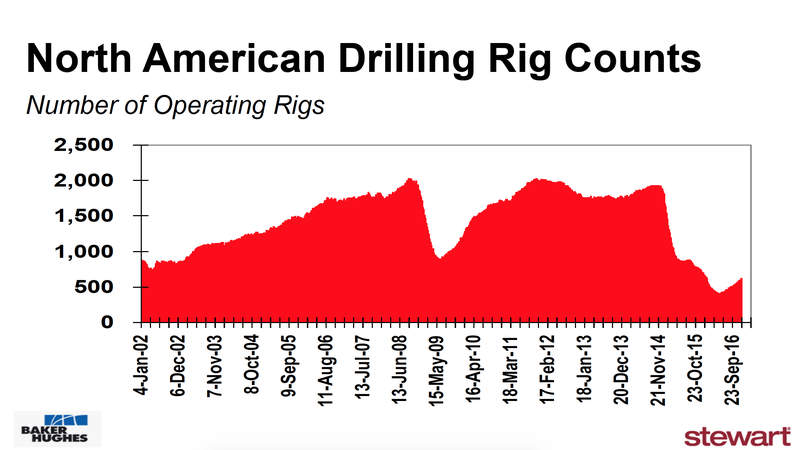 With oil & gas prices stabilized (for now), many producers are back increasing their rig count, making new hiring and growing their spending. Oil & gas companies are expected to boost spending by over 7% in 2017. 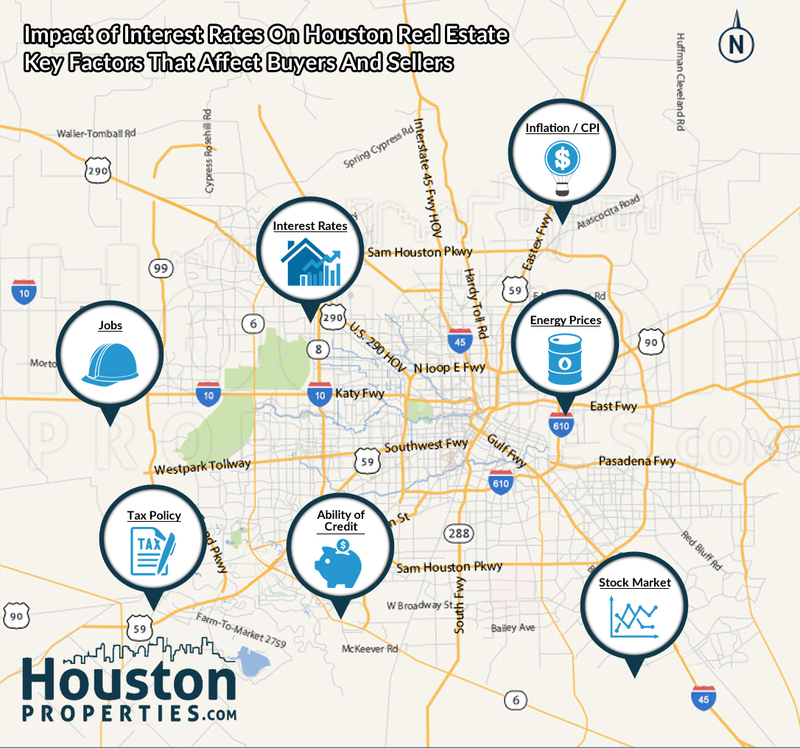 While this is a material dip from several years ago, the upward trajectory is bringing the employed professional from the energy sector, back into the Houston real estate market. Mortgage rates averaged 8.3% from the period 1976 – 2016. Mortgage rates averaged 6.4% from the period 1990 – 2016. 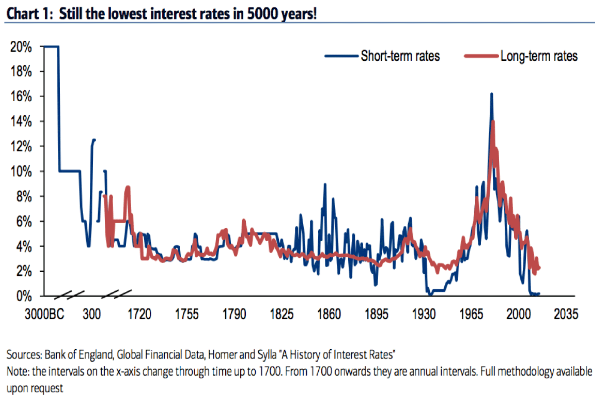 Interest rates of 3.65% (average for 2016) or increases of 0.25% – .75% still are within the historic lows of any 10, 20, 30 or 100 year period in the United States. As such, any moderate increase should not have a material impact on the real estate industry. It’s always difficult to look at potential policies of a new administration in insolation. We’ll start by taking a look at what’s been going on in the US economy. US GDP growth has been positive for every quarter (except two) since Q4 2009. 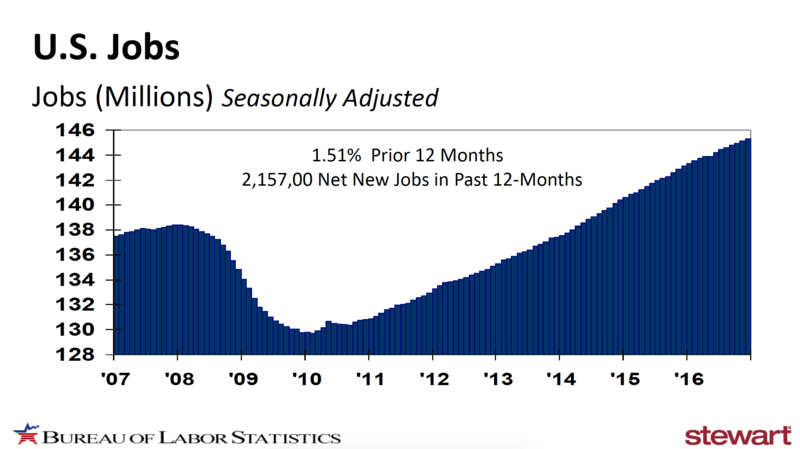 Jobs have been growing and unemployment has continued to decline. And income growth has continued to increase. All of this sets the stage for a potential increase in inflation (compared to where it’s been over the past few years). Historically, rising inflation has been good for real estate. 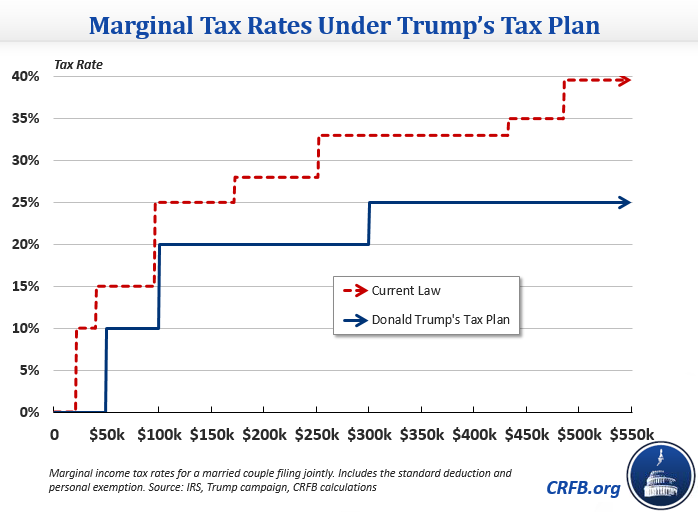 The potential “kicker” for the “Invested Class” (and a likely reason for the “Trump Bounce” in the stock market) is a reduction in tax rates. As of the time of this writing, a specific tax policy has not been proposed. 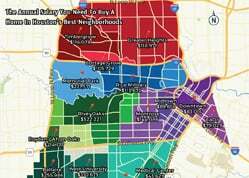 However, the various economic models proposed will likely all benefit the residents of Houston’s Core Inner Loop Neighborhoods (based upon our Salary Required To Live in Houston’s Hottest Neighborhoods). 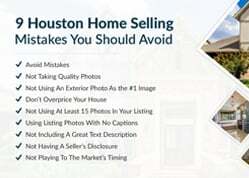 For assistance on Selling My Houston Home or personal recommendations, please contact Paige Martin, one of the top ranked Realtors in the United States.